It’s All About Me! What Happens When A Leader Takes All The Credit? 1. Women leaders are highly qualified. Our 360-assessment takes reports from managers, direct reports, peers, and others. 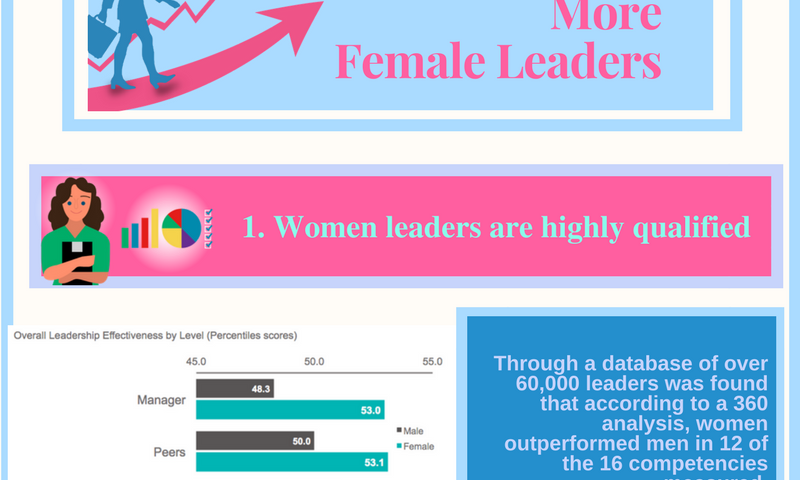 It turns out women had the most positive ratings from Managers. In the graph below you can see the difference between men and women in all the rater levels. 2. Women are more likely to seek out opportunities to learn and improve throughout their career.